The Demiurge crew are doing a fantastic installation of the first piece for our Aurora Central Recreation Center project. Excited to share the progress from Derix Glasstudios on one panel from the indoor pool windows for the Aurora Central Recreation Center. 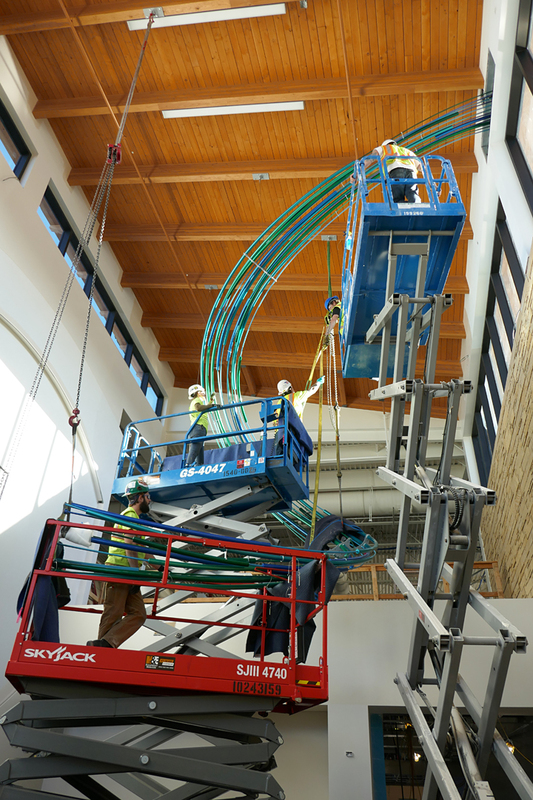 The final piece is one of three art glass areas for the Rec Center. 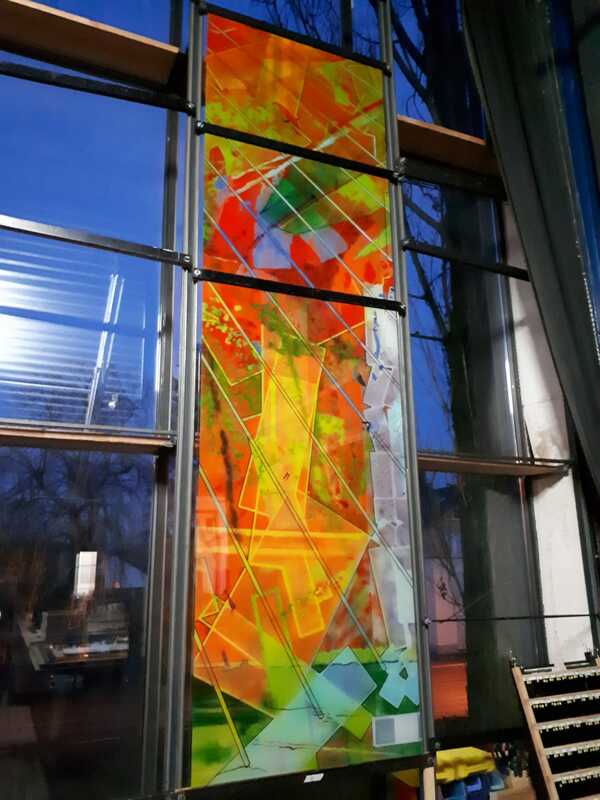 This piece will run almost 40 feet in length and 14 feet in height. 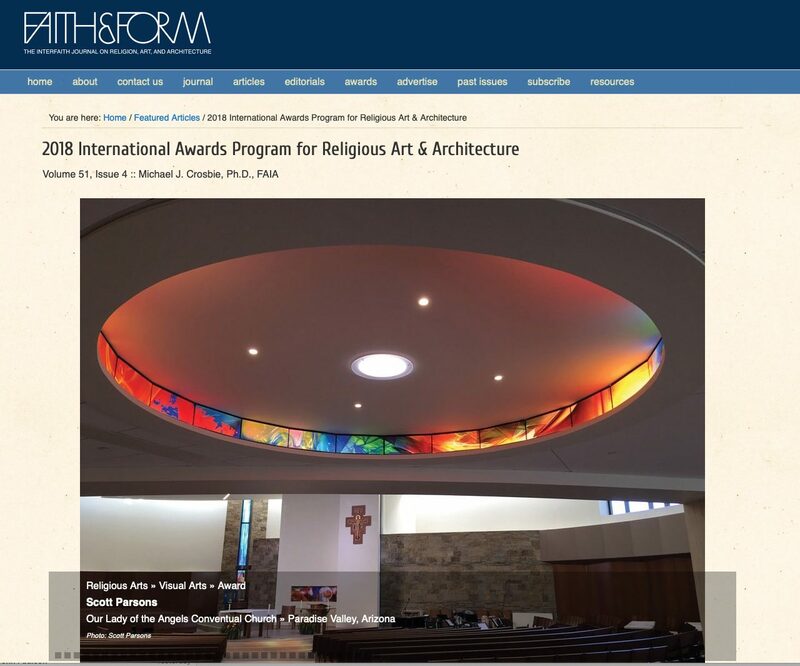 I am very pleased to announce that my art glass for The Conventual Church of Our Lady of the Angels at the Franciscan Renewal Center in Paradise Valley, Arizona received an Honor Award in Liturgical Art this year from Faith & Form Magazine and the Interfaith Forum on Religion, Art, and Architecture (IFRAA). This is the fifth Faith & Form Honor Award I have received in the past five years.